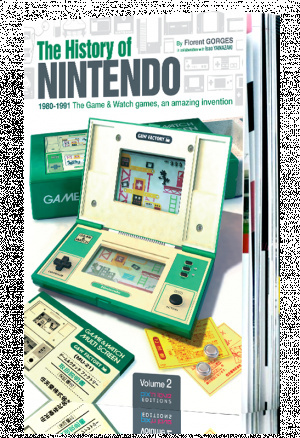 The History of Nintendo: Volume 1 spanned the company's beginnings up until the creation of the Game & Watch, setting things up nicely for the second volume, which deals exclusively with Gunpei Yokoi's LCD wonder. 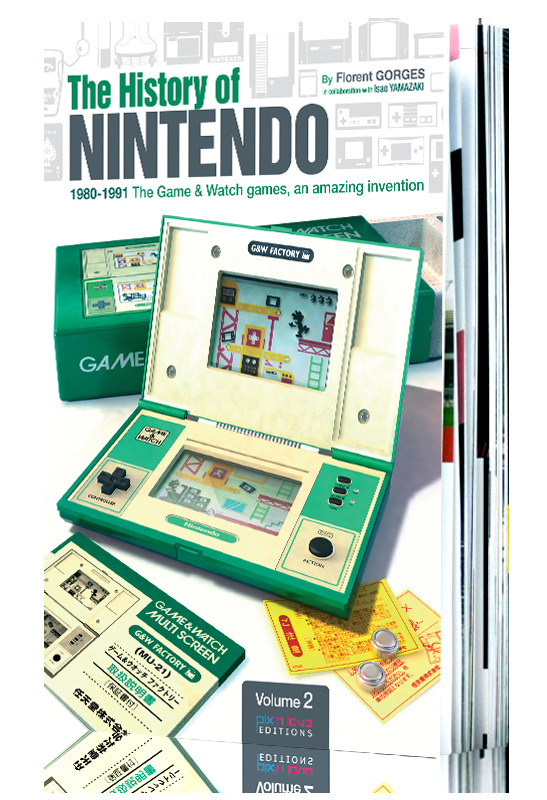 The History of Nintendo: Volume 2 — 1980-1991: The Game & Watch games, an amazing invention to give its rather lengthy title, has just been given a 15th December release date by Pix 'n Love Publishing. At 200 pages and over 1,500 pictures it should be an extremely in-depth account of one of the most important pieces of Nintendo hardware, and a snip at £24.99 with free worldwide shipping. You can preview and pre-order the book right now. I can't get over how much the old Game & Watch resembles a DS. I still need to get the first one before this. as it says 1980-1991, i'm hoping it will have plenty of pics, info on the game and watch series, as well as N.E.S, gameboy consoles and games. this is the ideal xmas gift for the die-hard nintendo fan! Assuming that the NES was also out during this time frame and is not pictured on the cover that Volume 3 will focus on the NES? edit @misswliu81: I dont think this volume will include the NES and Gameboy. @Ryno Looking at my copy of Volume 1, the back flap of the book lists 4 volumes for the History of Nintendo series. If you go to the French version of the site you'll see that Volume 3 is already out in French and covers the Famicom/NES era. @sc100 Thanks for the heads-up! @Ryno oh ok. i was a bit puzzled as to why the N.E.S, gameboy wasn't covered and yet it's in the next volume. Man, I hope that they go beyond volume 4. I'd love to have books that go into the history of the systems past the NES and Game Boy (especially the SNES)! Hi guys, I am here to answer any questions you might have about our Pix 'n Love publications. You mean you can't believe how much the DS resembles a dual screen Game and Watch.